Well Richard came up trumps with a very clever way of finishing the double bed. 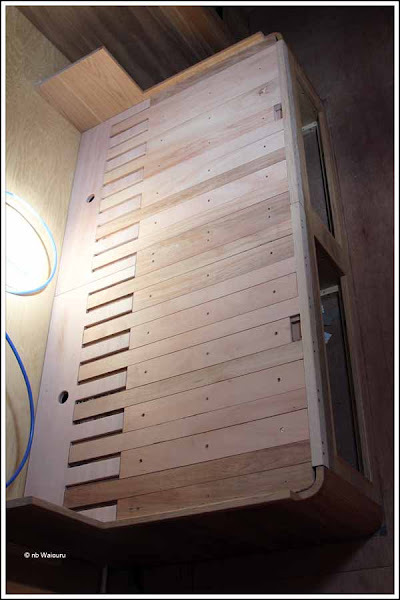 We had been considering various methods of covering the holes into the storage area at the head of the bed as well as ensuring the entire base of the bed was the same level. I think he has done a first class job! We need to buy a candle which we’ll use to ‘ease’ the extending slats in the comb. The footlocker has also been completed. 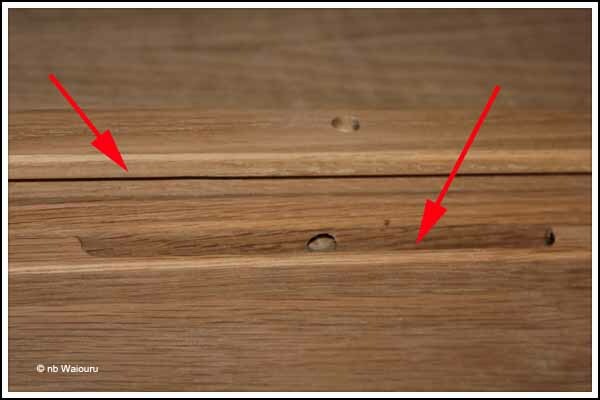 Richard made a rebated length of oak beading which has been screwed to the front edge of the locker. This is the support for the extending comb. 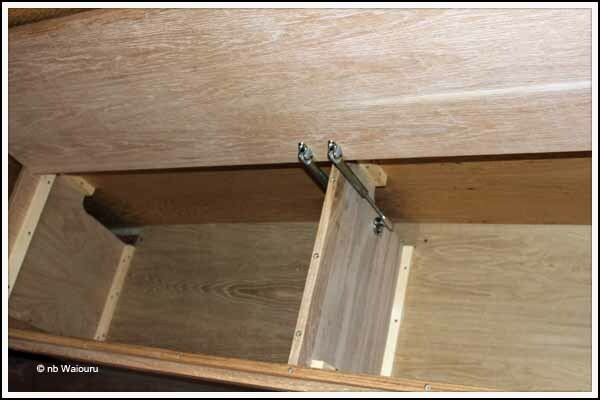 He also routed the centre of the leading edge of the locker lid to create a finger grip. This makes it very easy to lift the lid. Top view looking down. Left arrow points at the lip and rebated groove whilst the right arrow points at the rebated finger grip. Plenty of screw holes to be plugged! 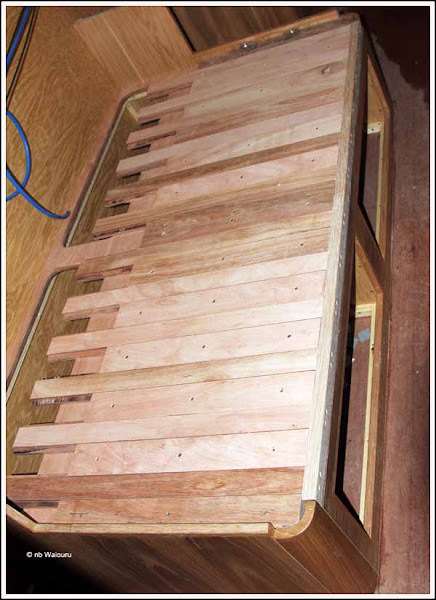 The gas support struts have been fitted to the locker lid. Richard then fitted the oak veneer ply to the base of the locker. The central heating pipes will run through the locker to air the clothing. He has now made a start on the bathroom vanity cabinet. I can see my weekend will be spent with a paintbrush in one hand and a pot of varnish in the other!